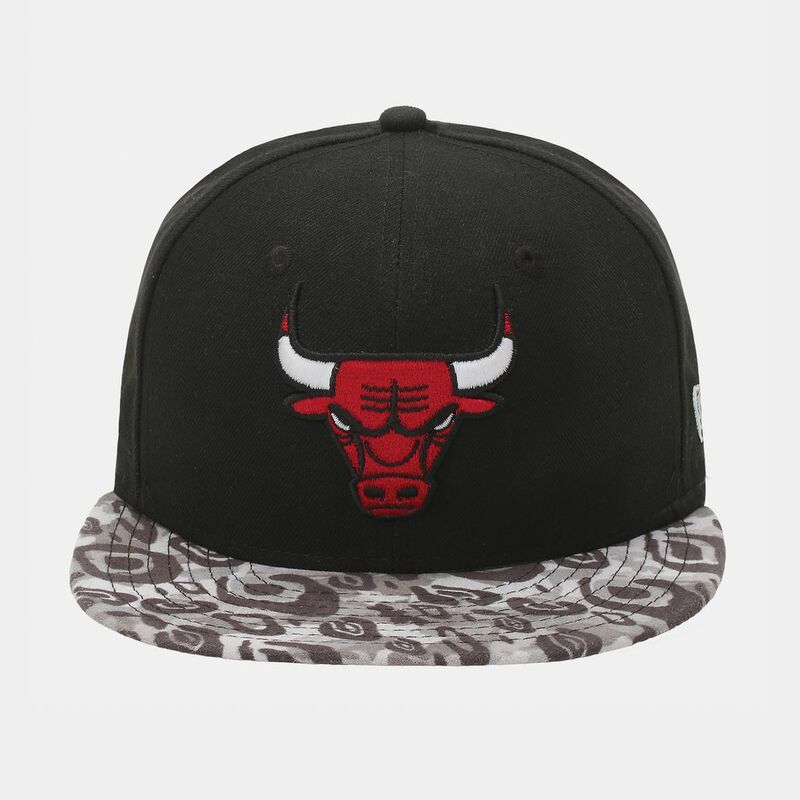 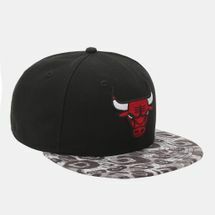 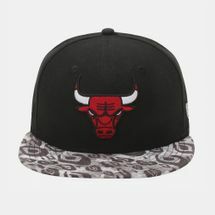 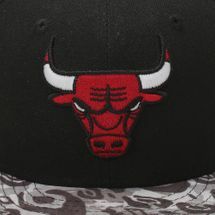 Show your team support with the New Era Tribal Vize Chicago Bulls Cap. This classical style has a high crown, flat bill with a covered top button and ventilation holes. It features the team logo on the front and has a small brand flag logo on the bottom left side. 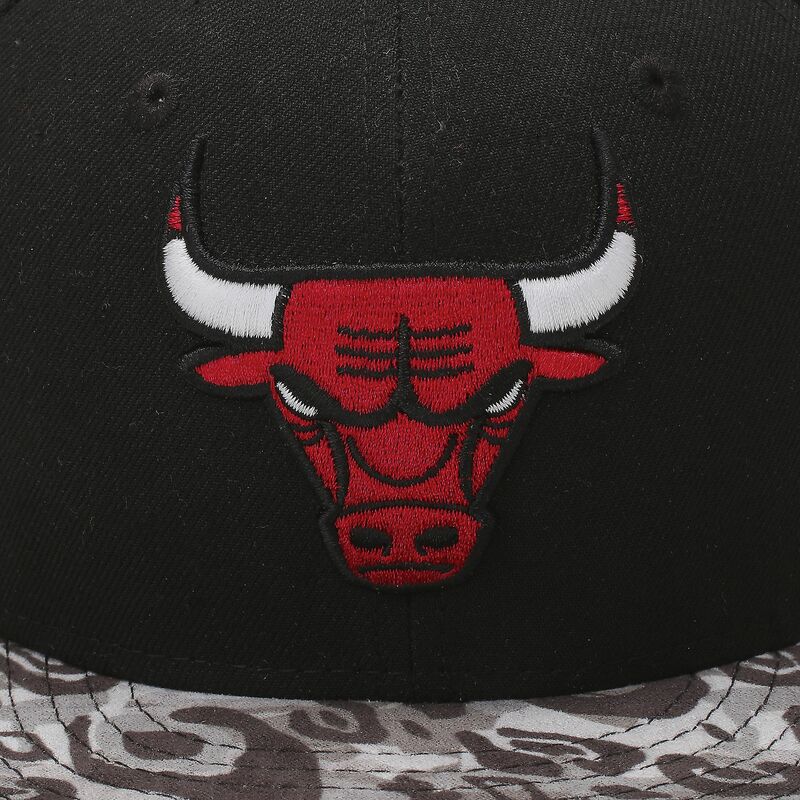 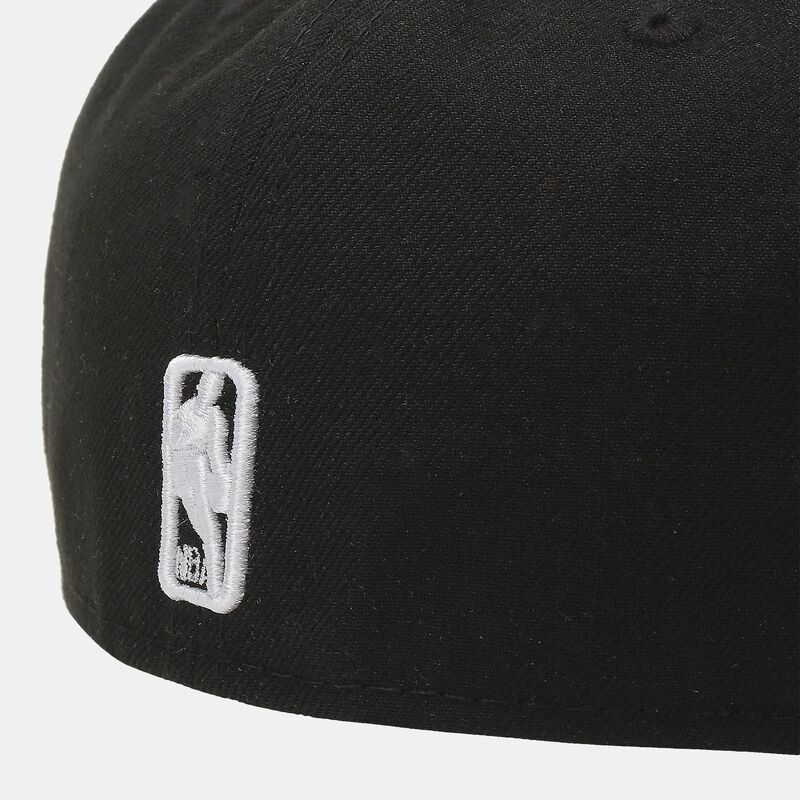 An adjustable snapback closure ensures a custom fit.